To find this cache you’ll need an AAC (Animal Antics Compass)! Luckily there is one attached – just print it out and bring it along. (If you have geokids, get them to cut it out and colour it in). When you get there, align the compass properly, and it will point the way! 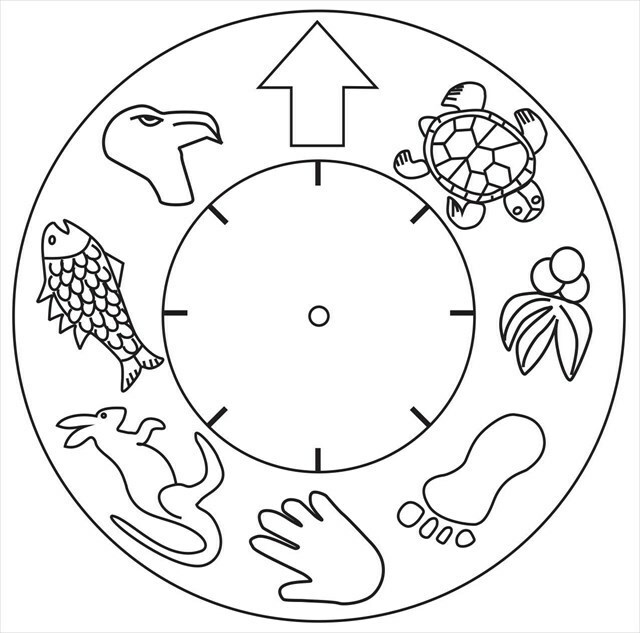 To work out the approximate distance (in metres), write down the names of the animals on the compass (don't include the hand or the foot), count the number of letters and quadruple it! This is a virtual cache – ie there is no container. At the destination you will find a securely fastened 4 digit number – to log a visit you need to send me an email, and tell me what the number is. Do not post the answer here, not even if encrypted. If you get it right, I’ll let you know, and you can then log your visit. - Happy hunting! Gb nyvta gur pbzcnff - lbh arrq gb znxr fher gung lbh trg 4 zngpurf orgjrra gur cbyrf naq gur pbzcnff! Gur ahzore lbh frrx vf phfgbz znqr - lbh jvyy xabj jura lbh svaq vg!